The Milkie Way malt at Milk. Some people come to Milk for the dense, brick-like ice cream bars. Some come for the ice cream sandwiches, stacked on toasted macarons and dipped into chocolate. 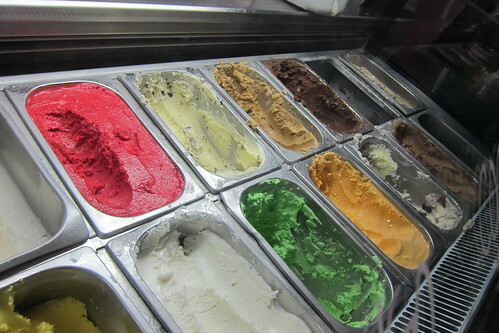 Some even come for the plain old ice cream in intriguing flavors like Thai ice tea and coffee chocolate chip. Those are all good reasons to visit this little ice creamery that takes dessert as seriously as a Michelin-starred steakhouse takes its filet mignon. 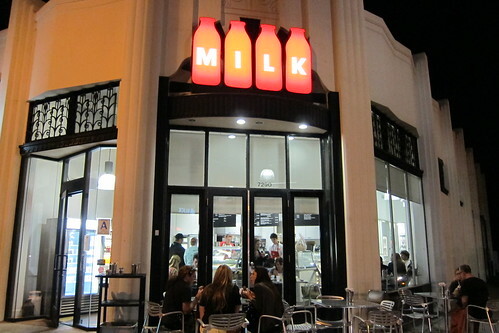 Still, the best reason to come to Milk are the shakes. We're torn between our two favorites: the Milkie Way Malt and the Banana Peanut Malt. The former is a textural wonder with nubby bullets of malted chocolate riddling the creamy, caramel-swirled vanilla. The latter is a combo of almost every flavor we love, beginning with Milk's toasty banana dulce de leche ice cream. On its own, it's top-notch. Mix it with malt balls and peanuts, and it's fantastic. On summer nights like these, the store always seems to have a line. There's a reason. Milk has elevated dairy desserts to an art form, using superior ingredients to stamp out classic American treats both timeless and thoroughly modern.